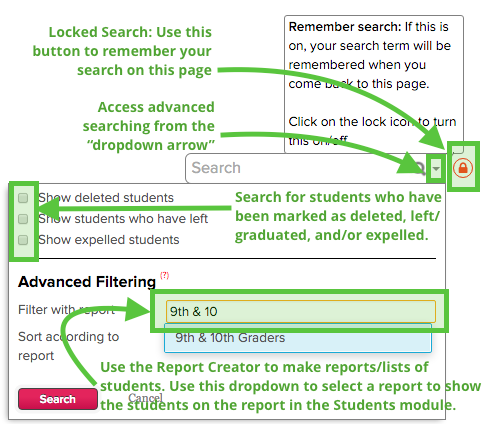 Search by Custom Report - You can build a Custom Report and filter for students on this report. Of course, please feel free to try out some of these out. And if you have any questions at all, just let us know - we'd love to help out.